Q. My daughter and I have accumulated quite a collection of gloves and mittens. Any suggestions for how we can store them in a way that makes them easy to see? A. An over-the-door shoe organizer with clear plastic pockets works well for storing gloves and mittens; each pocket can be used to store one pair. 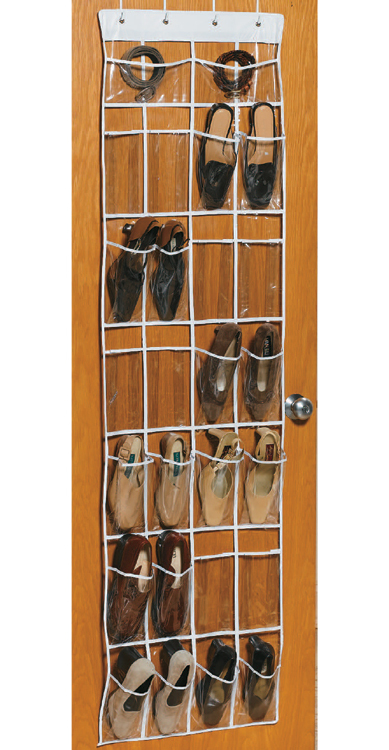 A good example is the Clear Vinyl Over the Door Shoe Organizer–it has 26 clear pockets that make it easy to both see and access the contents. It fits on doors measuring up to 1-3/8 inches thick. This type of organizer actually works well for a wide variety of items, such as socks, toiletries, and crafts supplies. This entry was posted in Answered, Craft Organization and tagged glove organizer, mittens storage by Harriet. Bookmark the permalink.